Two-time Formula One world champion Fernando Alonso sparked his team to victory Sunday in the rain-hit 24 Hours of Daytona. Alonso got his first taste of endurance racing last year at Daytona, struggling with mechanical problems to finish 38th overall, but he went on to win last year’s 24 Hours of Le Mans. This year, Alonso drove the winning car into Daytona’s Victory Lane, celebrated with a Spanish flag draped over his shoulders and pondered where the victory fits among his career highlights. Da Costa held off defending champion Jean-Eric Vergne to take the checkered flag in Riyadh and clinch just the second victory of his career. 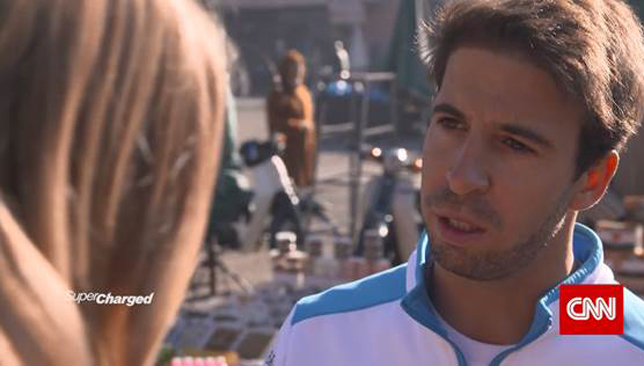 “It has been nice because a lot of people who are there with me have struggled like I have,” Da Costa told CNN ahead of the season’s second race in Marrakesh earlier this month. The next race takes place in Chile’s capital Santiago on January 26. Mick Schumacher, the son of seven-time world champion Michael, competed at the Race of Champions in Mexico at the weekend. The new Ferrari academy driver competed alongside Sebastian Vettel for Germany, beating the four-time world champion to win the event. Michael Schumacher, who won a record 91 grands prix and recently turned 50, is understood to be receiving round-the-clock care at his home in Switzerland, but no information has been made public about his medical condition. .